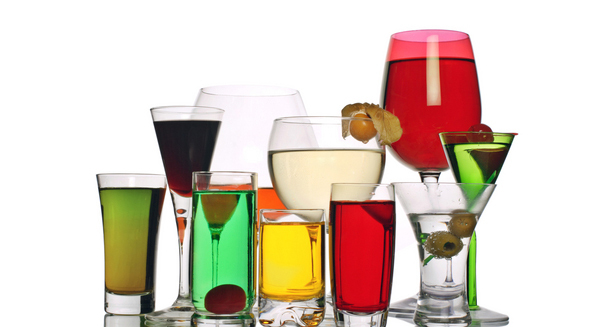 A new study has found that even light drinkers have an elevated risk of cancer -- but why? As we reported recently, scientists have just unveiled a huge new study involving more than 100,000 adults that comes to a surprising conclusion: light drinkers are at a higher risk of cancer. But why is this the case when we’ve always been told that drinking in moderation is fine? First, it’s important to note that while there is an elevated risk, the amount of risk of getting cancer is proportional to how much alcohol you drink. So while your risk of getting cancer if you’re a light drinker is elevated compared to if you didn’t drink at all, it’s still far below that of heavy drinkers. Further, scientists estimate as long as you are a light to moderate drinker that stays within general healthy guidelines of no more than a couple drinks per day, your changes of getting cancer from that are quite low. But clearly, the study — published in the British Medical Journal and involving two large studies in the United States — indicates that people may not be as safe as they thought if they drink at all, so why is this? After all, there’s quite a wide range of cancers to be worried about according to the report, including breast, mouth, throat, liver, and bowel cancer. According to Cancer.org, scientists aren’t quite sure why alcohol elevates cancer risk, and that there may be a variety of factors. One possible explanation is that alcohol acts as an irritant, damaging body tissues, particularly in the mouth and throat. When cells are damaged try to repair themselves, the DNA can get changed and that can eventually snowball into cancer. Alcohol also acts as a solvent, which can assist other harmful chemicals like those in tobacco smoke, so people who smoke cigarettes while drinking are at a much higher risk. It’s why smoking and drinking is a much greater risk than smoking and drinking separated. And then there’s some secondary effects, including the removing of nutrients in the body and the fact that alcohol often causes weight gain. Obesity is a well-known factor in many types of cancer.